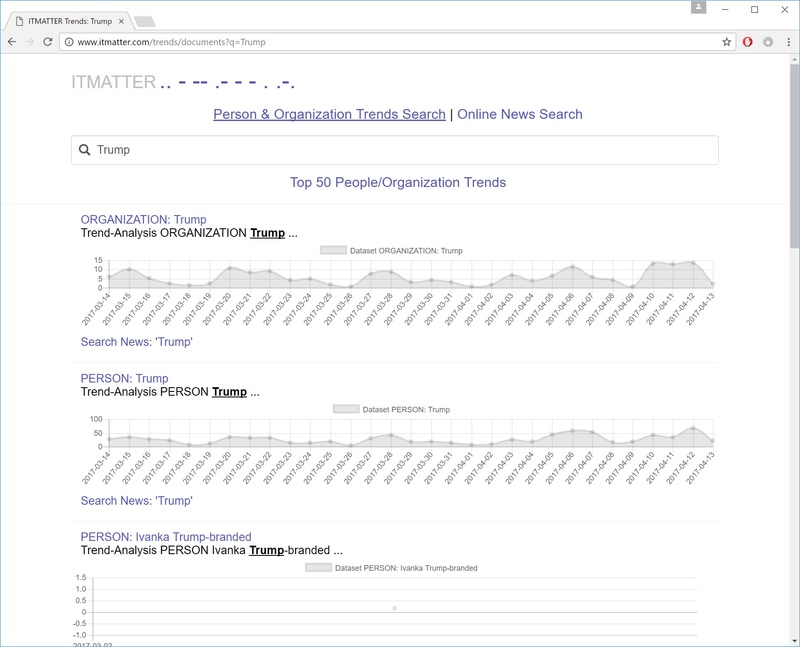 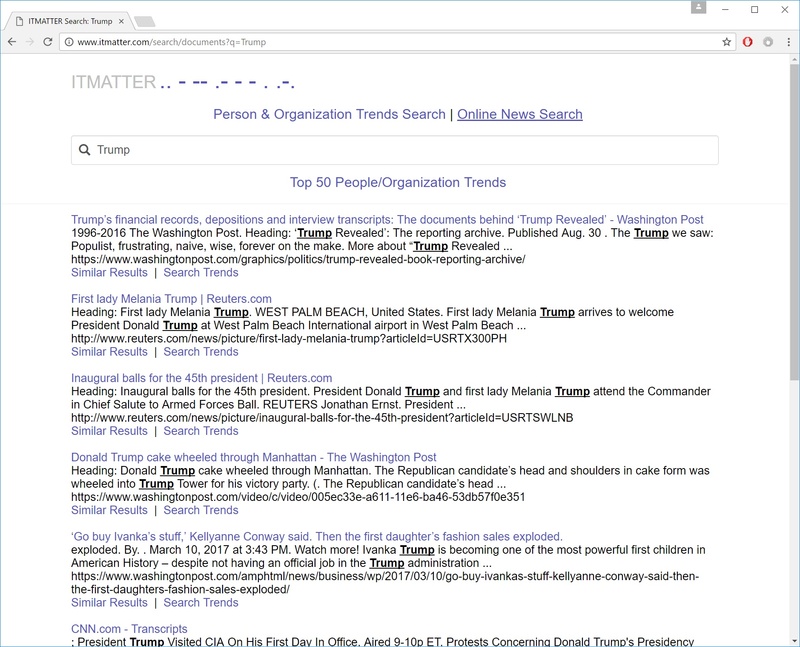 ANALYTICS & SEARCH - ITMATTER Inc.
ITMATTER solution allows for indexing (using Apache Solr clusters) of mentions about people, organizations, places, headlines, and ideas/concepts in real-time as processed by our distributed processing pipeline. In addition to the above search & content results, ITMATTER solution is also capable of publishing trends to a wider audience or the Net. 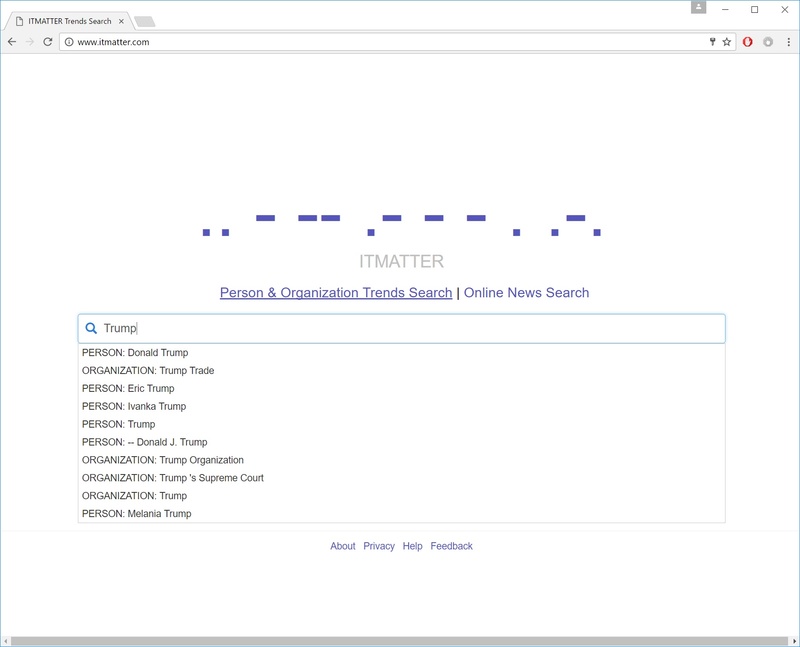 Our development team is able to further customize the content delivery solution as required. 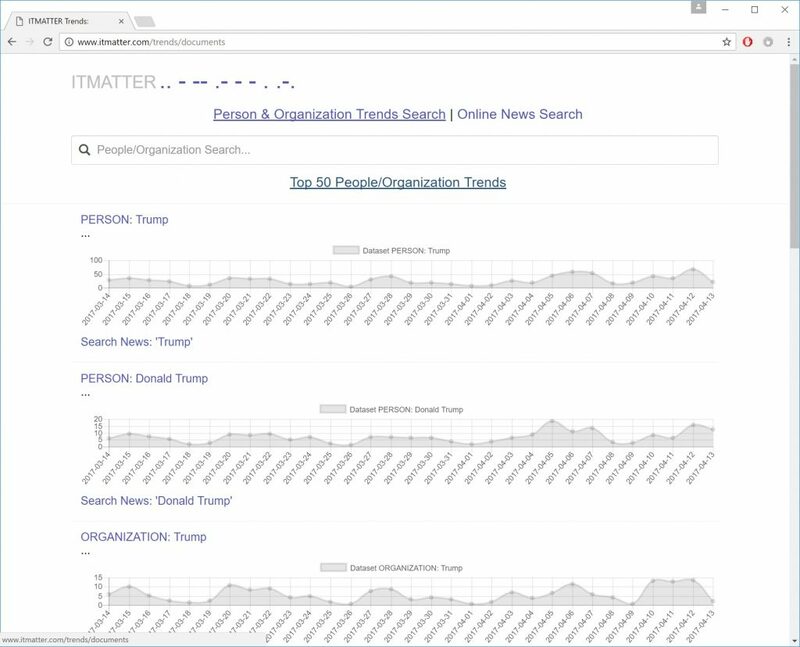 ITMATTER solution is capable of performing search by person or organization entities, concepts, and for each search result obtain trending information through published charts for a given entity or concept.